Registration documentation will be handed-out to the participants from the Meeting Secretariat. Registration forms will be only processed when received before October 31st, 2009. After this date registration forms will be processed as on-site registrations. On-line registration is possible through the web site Online payment is only possible by credit card (Visa, Eurocard or MasterCard). This service will let you register and pay through the Internet with an officially secured system SSL and receive your confirmation letter on-line. Registration form is also available on this web site ready to be printed. Please send it by fax or post together with the corresponding payment to the Secretariat before November 1st, 2009. Late registration will be possible on-site. Registration forms received without the complete contact address or without payment will not be accepted. 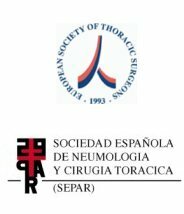 The fees should be paid in Euros by credit card (American Express, Visa, Eurocard or MasterCard) or bank transfer or by bank cheque in Euros payable through a Spanish bank and made out to ACTO-SERVEIS THORACIC SURGERY. A confirmation letter will be sent by email. Participants must bring this letter to the registration desk as proof of their registration. Any cancellation must be notified in writing and will be subjected to the following conditions: refund of fees, less a 25% administrative charge, will be applied to cancellations received up to October 31st, 2009. As of November 1st, 2009, no refund can be made. Clearly mention name and/or registration number with the bank transfer. Remittance should be free of charge to the recipient.